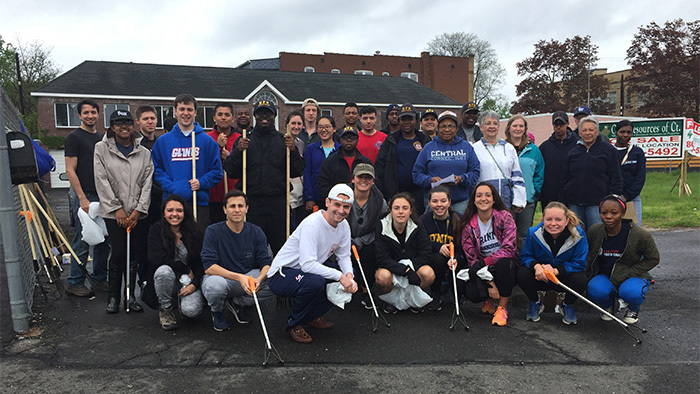 On May 6th approximately fifteen environmental science students joined the Maple Avenue Revitalization Group and assisted in their annual spring cleaning efforts. Our group and Maple Avenue neighbors at the beginning of the event. Joining the effort was a challenge, since the event started on a Saturday morning, practically at the crack of dawn (9 AM). 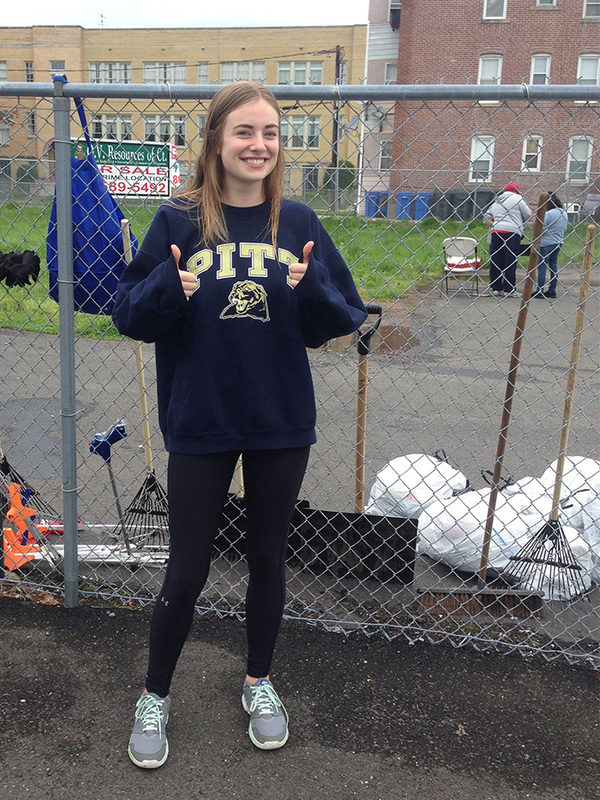 The weather was overcast and drizzly but cooperated and the big rains held off long enough to collect a considerate amount of trash. Jackie posing with some of the collection. A little bit of rain did nothing to dampen the spirits. We received a big thanks from our old friend Hyacinth Yennie who is already making plans for next year. 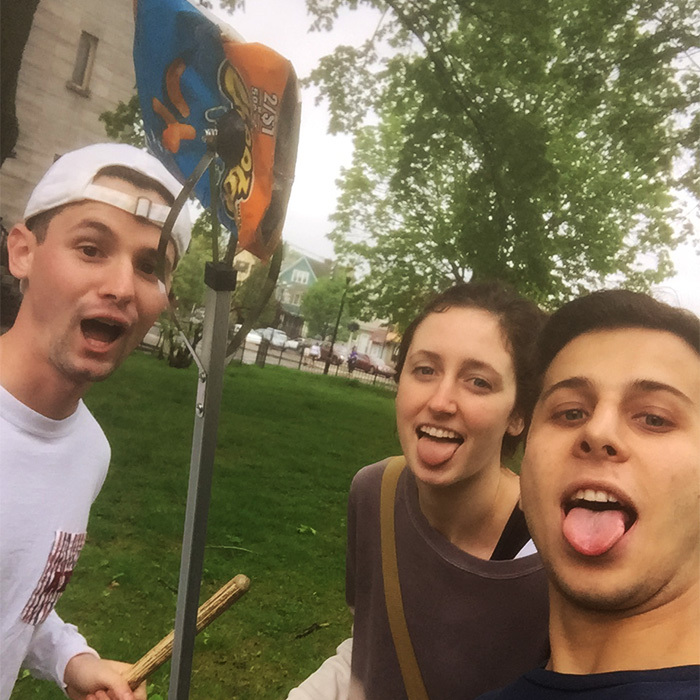 This entry was posted in generally cool stuff, Hartford by cgeiss. Bookmark the permalink.